Welcome to cooler weather, everyone. As the days slowly become shorter and I become more busy and tired, I find myself craving soups and stews more often. 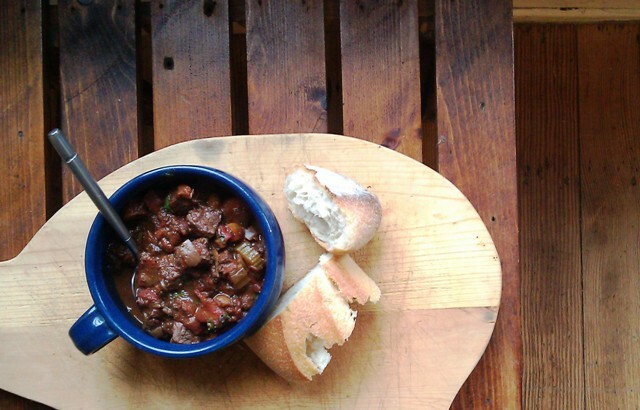 So I thought this week I’d share with you all this recipe for Italian Beef Stew to warm your bones. This is one of those traditional, hearty, slow-roasting stews that’s best given the full three hours of time. I also made sure to prep all my ingredients in advance: trim the meat into cubes, chop the vegetables, have a peeled clove of garlic ready, and the olive oil on hand. I read a few months back in Cooking Light that the secret to a really good stew is to follow the first step to brown the meat in the pan with savories (like onion and garlic) and then remove it to create the broth base with the browned roux left behind. When pressed for time, I often skip the step of browning the meat first, but it really does add a nice depth to the flavor and a thickness to the base of the stew. But if you take the time to prep all your ingredients in the first place, once you’ve gone through the first sequence of steps and all the pieces are together in the pot, you just get to walk away for a few hours. 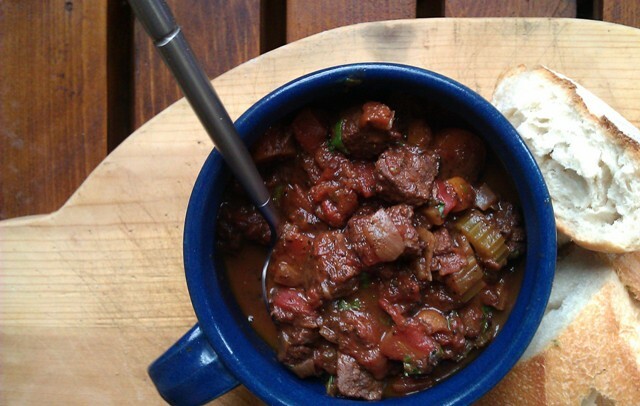 Return to stir a few times, or to appreciate the fogged windows of the kitchen, but otherwise, relax and enjoy as your house fills with the scent of stew. 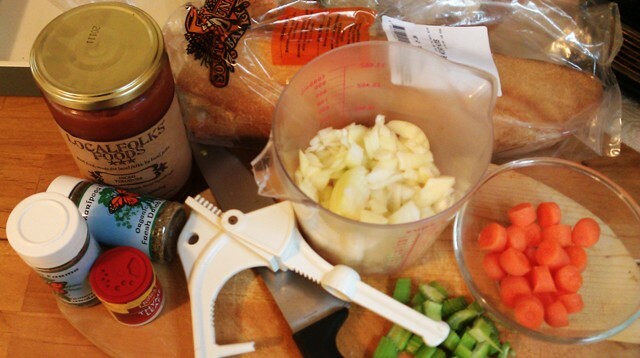 Next Post Turkey Meatball Reubens — Superfast Meets Superhealthy!